We recognise that our success is only possible because of the contributions of our talented, dedicated and diverse workforce. 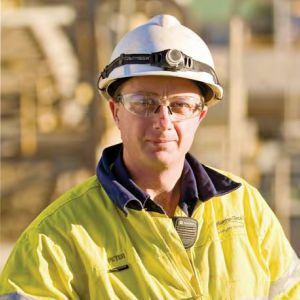 With a pipeline of more than 80 known gold prospects on our Paddington tenement package (as at June 2013), there is potential to sustain the Paddington Operations beyond its current 10 year mine life, making Norton an employer of choice for those seeking a long-term working environment and stable family life. We are able to provide our people with drive-in positions offering a variety of family friendly rosters, rather than fly-in and fly-out, which offer stability, a healthy work-life balance & enable our people to be able to play an active role in the Kalgoorlie-Boulder community. We embrace cultural and gender diversity and continually develop procedures and incentives to ensure we retain our staff. In order to attract and retain quality people, we are focused on providing a combination of opportunities including competitive remuneration, meaningful training, flexible working arrangements and career development.